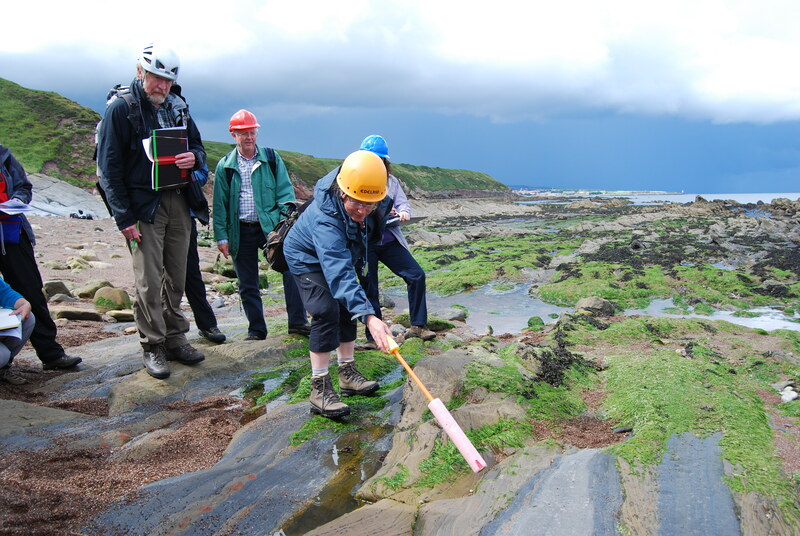 My final teaching job for The Open University was to help deliver the “Sedimentary Rocks & Fossils in the Field” section of the Level 2 Practical Science module (SXG288) offered by the Science Faculty. I have been involved in all three presentations of this section of the SXG288 module, which will now cease to be offered, and a number of other Earth and environmental science residential schools over the last 9 years. Having the opportunity to engage directly with students and enthuse them face-to-face about the subject I specialise in is a privilege I have gained a lot from. Furthermore, my over-riding impression from the students I have taught is that they feel they benefit greatly from the opportunity to explore first hand the concepts and subjects which they have previously studied in books and online. 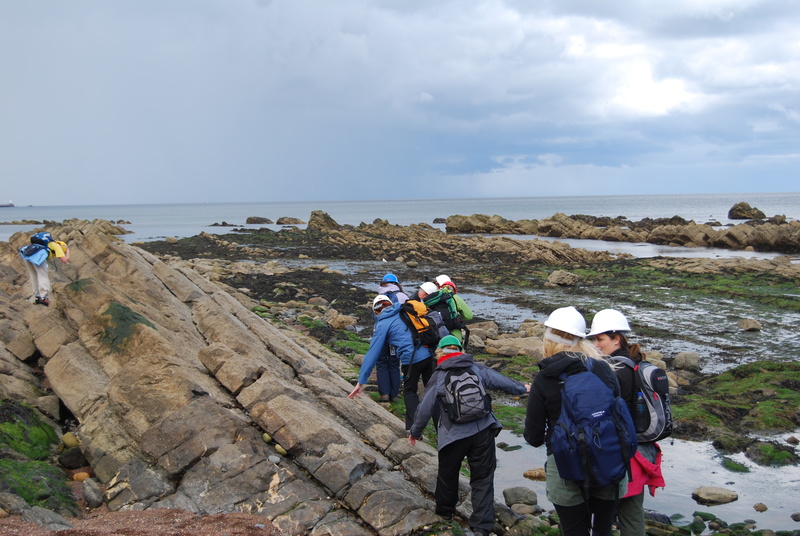 Based on my experiences on “Sedimentary Rocks and Fossils”, and other modules as both a tutor and a student, I am convinced that to effectively teach geological, geographical, environmental and ecological subjects effectively an element of field-based teaching is required. Whilst visiting Bowden Doors in 2014 we met three industrial geologists who were examining the site in preparation for field prospecting in the middle east later in the year. Foundations: To understand the world around us it is necessary to be able to appreciate how it can vary through both space and time. Text book examples are great for providing students with basic concepts but applying these to understanding the imperfect real world is the real skill of a field scientist. 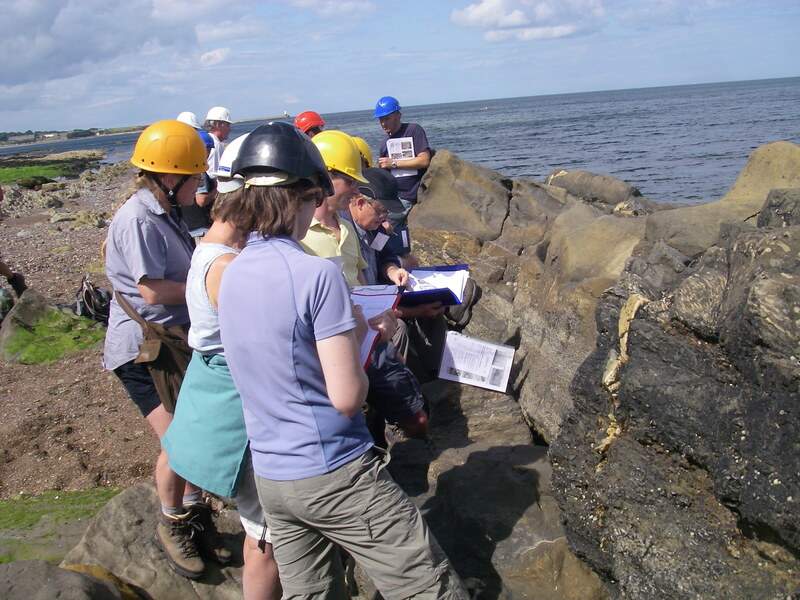 Experience of the foundations on which concepts are built is vital for students to develop a comprehensive understanding of Earth and environmental sciences; and is a skill that can only be developed with practical experience. During field work students learn to work in small groups to gather data and present results. Feedback: To develop teaching material that effectively enables learning it is essential to know your audience. Spending a few days staying in the field with a group of students provides a great insight in to the interests of students and effective approaches to helping them learn. Furthermore, the opportunity of students to ask tutors questions, present their own theories and develop hypotheses with tutors allows students to begin to develop a method of scientific thinking. Fun: Participating in field work is largely a positive experience for both staff and students. Most students and staff spend most of their time in an office, work or online environment. The change of environment is found to be positive by most people and I think the ‘fun’ element of the work helps knowledge and key concepts to be embedded. I am now based at the University of Amsterdam and currently on the 7 day Palaeoecology field module. Long days, two or three sites in a day, and a mix of show and tell and practical activity is making for a great week. The fact that 6 of the 34 students are still working on microscopes at 11:30pm tells me that this method of teaching is really generating enthusiasm for the subject and study. The mixture of fun, new environments and collective exploration of concepts is again creating a positive learning environment which is difficult to generate elsewhere. Coe, A.L. (ed.) 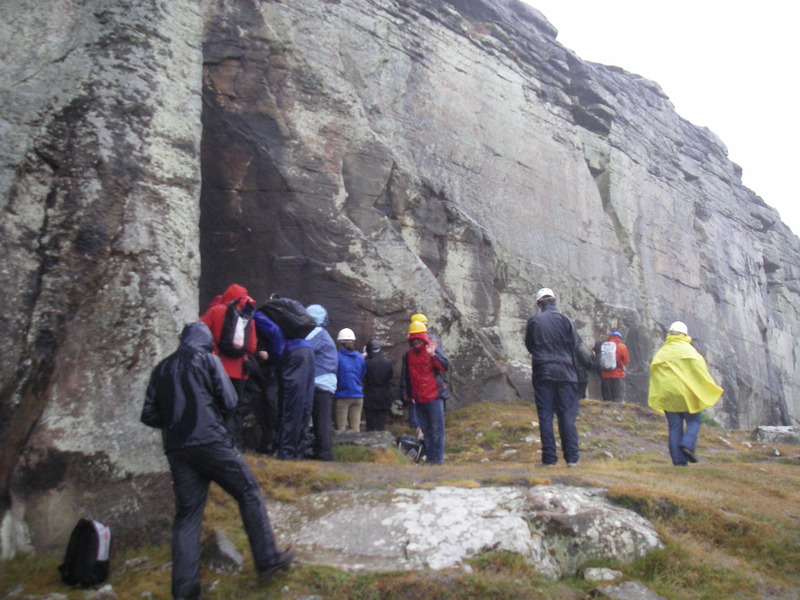 (2010) Geological Field Techniques. Wiley.